After months of waiting, the Samsung Galaxy Fold is official. 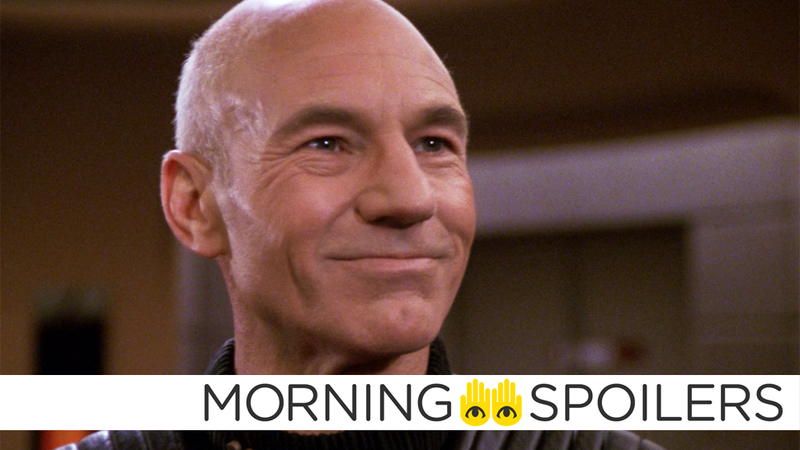 Is its fatal flaw already apparent? Samsung's first foldable device has finally been announced for real. It isn't the Galaxy X, F or even Flex. We've just been introduce to the rather practically-named Galaxy Fold. Folding phone, phone that folds, flexible phone—we’ve known since last year that this was coming and now it is a thing. Very soon, you will be able to buy a bendy device for just under $US2000 ($2,793) from one of the world’s largest consumer electronics manufacturers. Editor's Note: We're still waiting on Aussie pricing. 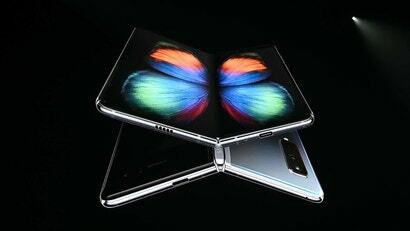 Based on the demos we saw this afternoon, there’s plenty to admire about the engineering of Samsung’s Galaxy Fold. We’ve seen disastrous iterations of concepts like this before. By appearances, Samsung has refined some of the cumbersome interface problems that might arise from designing a device with a screen that unfolds to reveal a larger screen. The “App Continuity” feature seems to seamlessly transitions what you’re viewing on the smaller folded screen to the to the larger screen when you open it. And though using multiple apps on a single screen is never something I like on a touch-based device, people (some of my co-workers) seemed legitimately impressed with Samsung’s new three app multitasking feature. During the usual hands-on demonstration time after the event, though, Samsung didn’t let anyone see the device—not that we know of at least. Sometimes companies are hesitant to show press new hardware too far ahead of launch because designs aren’t final. 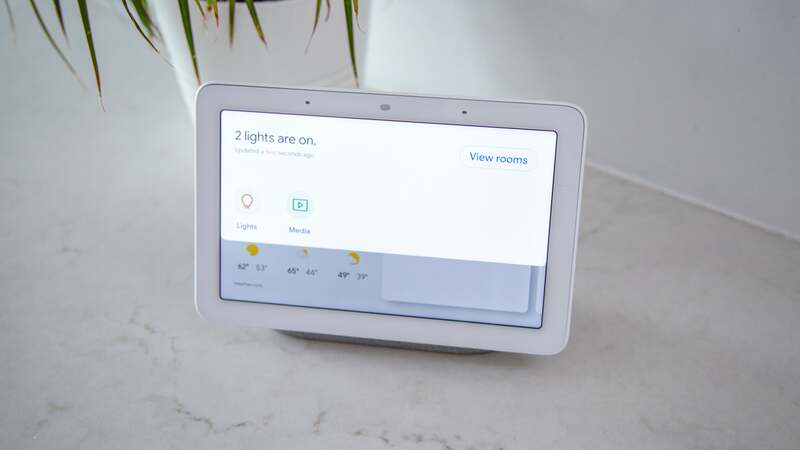 But given that this thing is expected to land in the hands of consumers in just about two months, I find it real odd that the company didn’t even have one behind glass for the press to leer at. April 26 is quite soon. 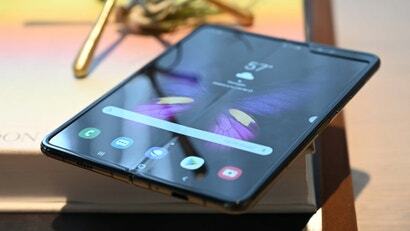 If I were Samsung, I’d try to drum up just as much excitement about the Galaxy Fold as possible without giving anyone with a critical eye the opportunity to see it for what it is in person. It’s simple enough to create flashy videos and impressive renders. You can do an on-stage demo that doesn’t reveal what a device is really like. I don’t know why Samsung’s hiding the Galaxy Fold from rabid tech bloggers, but I think it’s because compared to the phones we’re all used to these days, people are going to find the device shockingly thick. Isn’t it obvious? 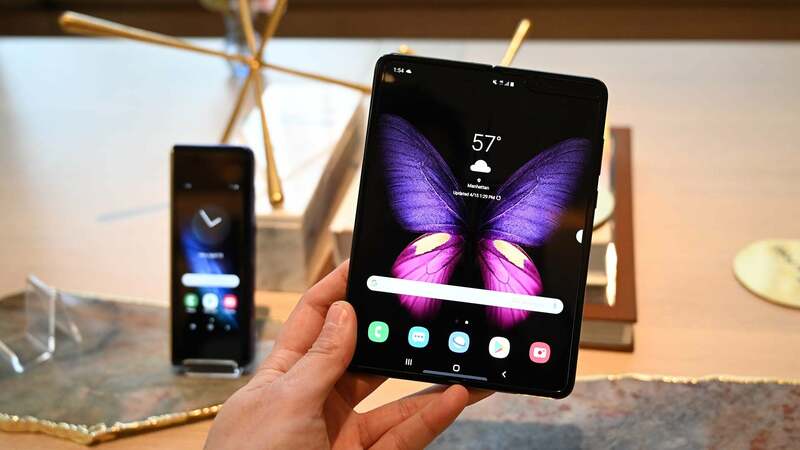 Samsung revealed very little about the dimensions of the Galaxy Fold during the announcement. Reached for comment, a company spokesman told Gizmodo that thickness has not been made public. Some are reporting that unfolded it will be 6.9mm thick when unfolded and 17mm thick when folded, but we’ve been unable to confirm. Let’s give a generous interpretation of the possibilities. The Galaxy S10 is 7.8mm thick. Let’s say that somehow the new device is thinner than two of those sandwiched together. Even at 14mm, it would be considerably thicker than the first generation Samsung Galaxy from 2009 (11.9mm) or the first generation iPhone (11.6mm). It’s almost exactly the thickness of the Nintendo Switch. I’ll wait so you can fish your Switch out of your backpack and decide if you want a “phone” that thick in your pocket. I’m willing to bet that the Galaxy Fold is even a little thicker than 14mm, but Samsung won’t dish, so we’re left to guess. Are folding phones the future? Who knows, I’m not a fortune teller. But as with all first-generation devices, it’s pretty safe to say that Galaxy Fold will not live up to the hype, no matter how thick they lay it on.